Maxine Moul campaigns at 27th and Vine streets in November 2006 as the democratic candidate for eastern Nebraska’s 1st Congressional District. Maxine Moul, retired politician and former Nebraska state director, USDA Rural Development, from 2009-2017. As the Nebraska state director of USDA Rural Development from 2009-2017, Moul was appointed by President Barack Obama. • Democratic candidate for Congress, Nebraska First District, 2006. • President and communications director, Nebraska Community Foundation, 1999-2006. • Director, Nebraska Department of Economic Development, 1993-1999. • Lt. Governor, 1991-1993. • Reporter, photographer, editor, president and CEO for the Syracuse Journal-Democrat, 1971-1991. • Nebraska Women’s Journalism Hall of Fame honoree; 2017 inductee, Nebraska Journalism Hall of Fame. Boards and Commissions: Chair, Nebraska Rural Development Commission. • Chair, founder of Nebraska Community Foundation. • Commissioner, Northern Great Plains Rural Development Commission. • Torch Foundation Trustee, supporting the International Association of Torch Clubs. • Nebraska Commission on the Status of Women, chair 1977-1978. • State executive committee of Nebraska Mrs. Jaycees. Personal: Married 45 1/2 years to Francis Moul, journalist, educator, author and partner in many endeavors, including the Syracuse newspaper and publishing company. Daughter Jennifer died at age 19 in 1985. Son, Jeff, and wife, Diane Becket, grandchildren Adia, 13, Annalise, 10, and Logan, 7. My maternal grandmother taught me strength, determination and a love of risk-taking. She was essentially a mail-order bride, coming to America from Sweden by boat and train in 1913 to become the bride of another Swedish immigrant. They were married six weeks later and for more than 50 years. How I loved to hear her stories, especially ones she had never told her children! Before she died at 88, she wrote her story “How My Love Story Began” in both English and Swedish. Certainly, my grandchildren. I hope they will embrace a life of public service, whether in their local communities, state, nation or internationally. The young women who are now stepping forward to take leadership positions in politics, business and community are inspiring to me. Even though women have been fighting for equality for centuries, there are still barriers to bring down, still “firsts” to achieve. I was heartened by the commitment and passion of women and men at the women’s marches in Lincoln, Nebraska and the nation last January. Excellent leaders provide resources, training and creativity to encourage and allow others to succeed professionally and personally. They lead by example, willing to work hard alongside others and to take the risks necessary for the organization to grow and reach objectives. They are willing to take on challenges that others might not, but that make a real difference in others’ lives. That is particularly true in the public sector. Leadership positions in government provide a unique opportunity to positively impact citizens’ lives. "Never doubt that a small group of thoughtful, committed citizens can change the world; indeed, it's the only thing that ever has." – Anthropologist Margaret Meade. It was the motto for the Nebraska Rural Development Commission, which gave life to the Nebraska Community Foundation (NCF), both of which I served as founding chair. The 1,500 volunteer leaders of the 219 NCF funds are demonstrating their collective power for positive change. The volunteers, staff and board members of NCF have now made a nearly $500 million impact on Nebraska communities and have changed the attitudes and futures of rural citizens. Seeing someone, or a community, be successful in reaching a goal they have been striving for, sometimes for years, is very satisfying. Overcoming barriers, finding new ways of solving a problem, are successes that are particularly inspiring. Countless times, I have witnessed the determination of leaders to make a positive impact. My greatest satisfaction now is watching organizations that I helped establish continue to build with new leadership. NCF’s growth and impact because of young leadership has been phenomenal, and it has become a national role model for community foundations. What’s the best advice you’ve ever received, and who gave it to you? Two women gave me advice that changed my life and encouraged me to take risks. My Oakland High School English and Journalism teacher, Anne Sink, encouraged me to think about going to college and majoring in journalism. Before that, I had never considered anything other than nursing, then a traditional female career. 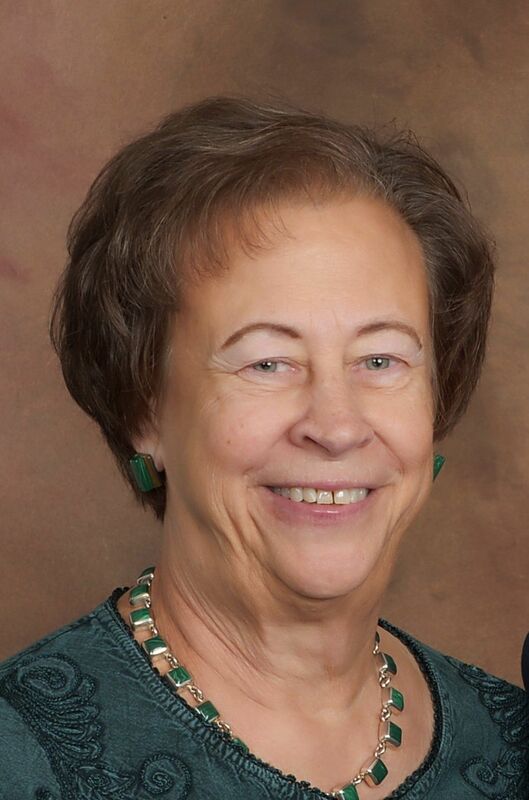 Nancy Hoch of Nebraska City, a Republican candidate for the U.S. Senate in 1984 and University of Nebraska Regent, was a founding board member of NCF. She used the Nike slogan, “Just Do It,” to encourage me to keep taking risks. My focus has changed from observing and reporting the work of residents and organizations in our newspaper coverage area, to providing leadership at the state level, primarily in rural development. I was inspired by Sen. Robert Kennedy to consider work in public service when I was still in high school. A couple of decades later, I was serving in Gov. Ben Nelson’s administration. He encouraged me to take on many leadership efforts, starting with establishing the Nebraska Rural Development Commission. What amazing experiences I have had – ones that I can enjoy for the rest of my life.